As ever, the onus is on brands to find compelling ways to earn the attention of the consumer. 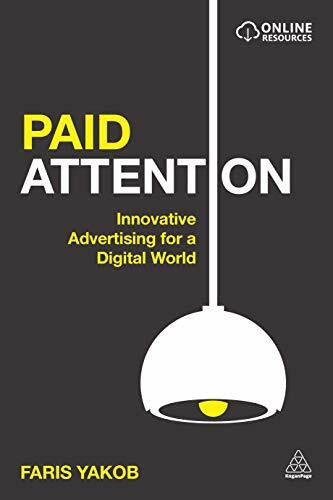 Yet content scarcity has given way to overload, fixed channels have dissolved into fluid networks, and audiences have become participants in consumer-driven conversations. This shift requires a new course of action for brands; it demands new marketing imperatives. Paid Attention is a guide to modern advertising ideas: what they are, why they are evolving and how to have them. 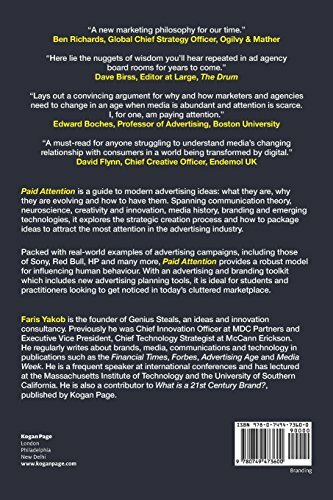 Spanning communication theory, neuroscience, creativity and innovation, media history, branding and emerging technologies, it explores the strategic creation process and how to package ideas to attract the most attention in the advertising industry.Packed with real-world examples of advertising campaigns for companies including Sony, Red Bull, HP and many more, Paid Attention provides a robust model for influencing human behaviour. 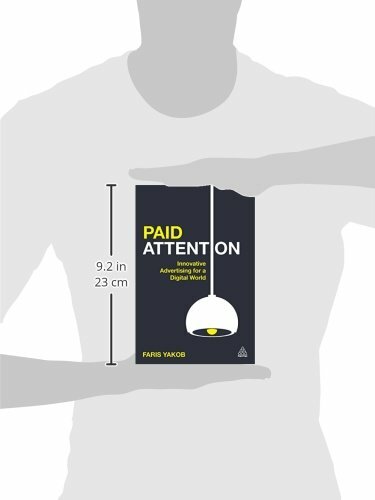 Referencing a wide body of theory and praxis, from behavioural economics and sociology to technology and even science fiction, Faris Yakob maps advertising onto a wider analysis of culture. Containing practical advertising and branding templates, including a new advertising planning toolkit, it is ideal for students and practitioners looking to get noticed in today's cluttered marketplace. 3500 mAh Gesamtkapazität auch bei hohen Stromstärken.